The world’s first probiotic air and surface purifier. Better Air is dedicated to improving quality of life by bringing balance to indoor living and work spaces by replenishing them with beneficial probiotics. 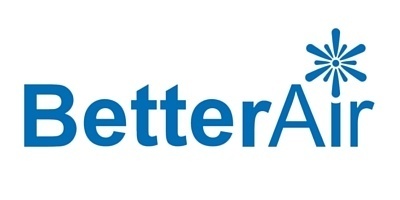 Better Air purifiers are chemical-free, all-natural and safe for humans and pets. 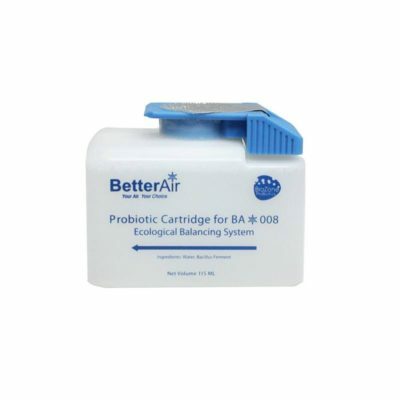 Better Air Environmental Probiotics are comprised of an organically cultured strain of probiotics called Bacillus ferment. Our patented technology works on a microscopic level and repetitively releases billions of micron sized probiotics to purify the air and clean surfaces and objects, resulting in a healthy microbiome. Our proven Better Air procedure consists of leveraging the power of probiotics through air purifier systems to consume organic matter found on hard surfaces such as dust mite excrement, pollen and dead skin cells. Using Better Air purifiers helps in enhancing and improving indoor air quality and prolongs the cleanliness of hard surfaces. In addition, we can aid in the reduction and prevention of bad odors caused by microbial contamination. 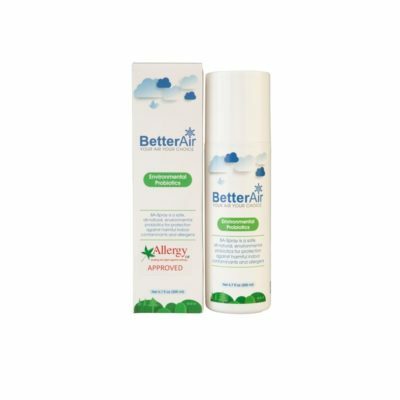 Better Air is the founder of BioZone Probiotics™ – a comprehensive holistic solution that enhances quality of life indoors by substantial reduction of symptoms associated with Microbial contaminations indoors. allergy outbreaks of any indoor space. serve as sustenance for pathogenic bacterial and mold survival. Do Pathogens develop immunity over time against BioZone Probiotics™? What are the benefits of using BioZone Probiotics™? – Elimination of bad odor generated by pathogenic bacteria, fungi, and mold activity. – Restoration of fresh air without masking smells with artificial, harmful perfumes. hazards by using our technology. Using BioZone Probiotics™ at home allows you to protect your family and loved ones. What are the benefits over air filters, UV systems and Ionisers/Ozone generators? small amount of ozone. Ozone is a highly toxic and extremely reactive gas. A higher daily average than 0.1 ppm(0.2 mg/m³) is not recommended and can damage the lungs and olfactory bulb cells directly. Ozone generators are optimized for quick results and are not permitted in the vicinity of people nor animals. High concentrations of ozone creates a temporary toxic environment for bacteria, hence destroys all live organism within the treated indoors. These processes require evacuation of people and animals when applied and are not considered a safe. Absolutely. Same as Probiotics supplied within Yogurt and many other food supplements are known to be safe. BioZone Probiotics™ is comprised of approved probiotic substances that were carefully evaluated and approved by EU, North American, and other regulatory organizations worldwide. BioZone Probiotics™ is produced in Belgian labs under strict and full compliance with OECD regulations. All the many tests that were conducted over more than a decade now, have been conclusively determined that BioZone Probiotics™ is safe, effective, and significantly reduces pathogen outbreak with no negative side effects. Should BioZone Probiotics™ be prescribed as a treatment against Asthma? We are not labeled as a medicine nor make claims to substitute medications. 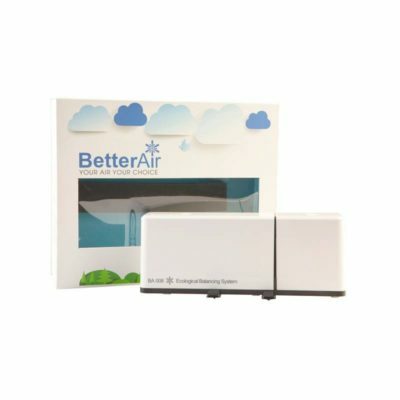 BetterAir solutions are based on Natural Environmental Probiotic compounds and through the multiple years of trials, prove to substantially reduce the risk of allergens -these airborne particles such as dust mites faeces, mould spores, and bacterial infestations, that may cause allergic reactions. Is Mould dangerous to humans indoors? Definitely. Beside the discomfort of bad odor, the vast majority of mold types are dangerous to people and cause many types of illness and increase the chance for respiratory illnesses. No. beside the fact that mold is well-hidden inside AC air ducts and lurks in dark places, there are types that are not clearly visible to the naked eye. Many others have characteristic appearance such as the common Stachybotrys chartarum (also known as Stachybotrys atra) – a type of mold that has been associated with problematic health effects in people. It is a greenish-black mold that can grow on materials with a high cellulose content – such as drywall sheetrock, dropped ceiling tiles, and wood – that become chronically moist or water-damaged, due to excessive humidity, water leaks, condensation, or flooding. Should BioZone Probiotics™ work for me? There is a high likelihood it should. 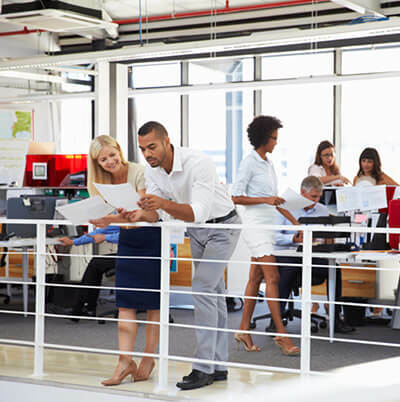 Over the course of our many years of trails, 72% of people reported major improvement in wellbeing and comfort indoors, 16% reported noticeable improvement while only 12% say that it has no noticeable positive effect. These results are not clinical based although it has been collected from a large group of exposed people. Unlike clinical trials that pinpoint a specific illness over long time, the people that we monitor work, study, commute, travel, and interact with many other people and animals. It has not been practical to isolate these people nor to isolate others creating a “control” group necessary for clinical trials. So, as our solutions are safe, simple and inexpensive to implement and it is very likely that you should enjoy enhanced quality of air and increased protection you can feel! Should BioZone Probiotics™ be effective mostly in old facilities that are not well maintained? Old and “Worn out” facilities do often have issues with sub level of maintenance. Sources of dampness and hidden humidity are not effectively removed resulting in high doses of molds toxins and pathogenic contamination such as Legionella and other dangerous forms of bacteria and mold; however, modern facilities compound on these problems by providing “sealed” conditions where windows are permanently shut and air circulations are based on mechanical ventilation systems creating a “sick” or “ill” building. Little wonder than, that close to 25% of the world’s population suffer indoors, and this number is ever increasing hand in hand with urbanization ratio. The known Sick Building syndrome is magnified under humid weather conditions as evident by research done in tropical areas.